Is this the return of the Supersonic Jet? A new Supersonic Jet is just around the corner. Not since 24 October 2003, when the futuristic Concorde made her last flight, has supersonic air travel been available to the masses. Well, we use the term masses loosely. Concorde was an extremely expensive machine to run and those who flew her paid top dollar for the privilege. In addition to the high running cost, she was also limited to flying over water at supersonic speeds due to the sonic boom created by flying above the speed of sound. For environmental reasons, most countries banned the supersonic jets flying over their territory because of the sonic boom. This naturally limited the appeal of this aircraft due to the limitation of the routes it could be usefully flown over. It is amazing to think that this technology was available until nearly two decades ago. High flying businessmen in London, for example, could go to New York, do their business, and be back home for dinner. Surely that demand is still there. So what are the challenges that a Supersonic plane design has to overcome? The main ones are, cost to operate, sonic boom noise, landing/take-off noise and emissions. 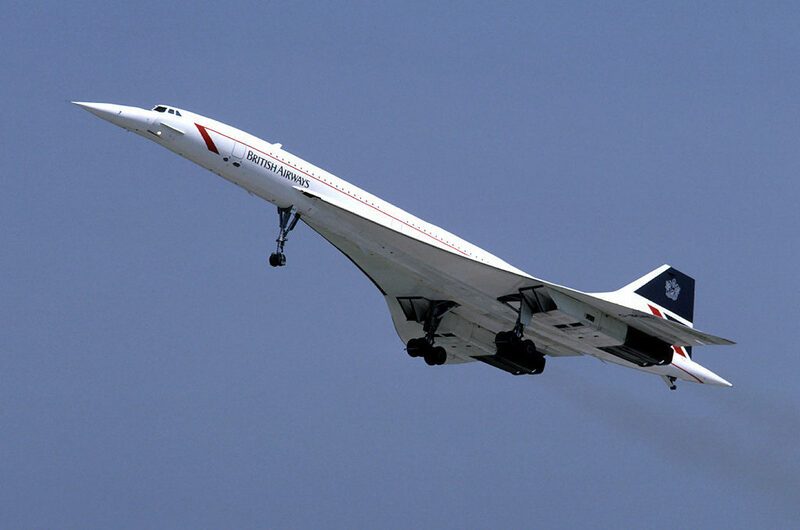 We can agree that technology has certainly made vast improvements in the time since Concorde flew. Engine technology has enabled more power to be delivered by quieter engines. Composite materials have given higher strength to airframes at lower weights as well as lower manufacturing costs. One thing remains, however, the sonic boom. This limiting factor is still a roadblock. There has been, over the last couple of years, increasing pressure in the U.S. for environmental standards around supersonic transport aircraft to be relaxed. There are three start-up companies that have already invested considerable money and resources into the development of their own version of a supersonic transport aircraft. These are: Boom Technologies with their Mach 2.2 capable airliner, Spike with their Mach 1.6 capable S-512 Quiet Supersonic Business Jet and Aerion with their Mach 1.4 capable As2 Business Jet. These are all slated to be ready for service between 2023 and 2025. Even the Russians are dipping their toe back in the supersonic pond, with the United Aviation Corp (UAC) aiming to start on their own offering in 2022. You may recall Russia had a Concorde look alike, the Tupolev TU-144. Dubbed, the Koncordski. This aircraft never met with any success, being used on domestic routes only, until it suffered a final setback, breaking up in flight over the Paris Air Show. The hypersonic airliner will travel at mach 5…….. Meanwhile, the household name manufacturers are still hard on the case. Boeing has had various designs over the years to enable it to enter the Super Sonic Transport (SST) space. None have got much further than the drawing board. They are, however, working on a new concept that they hope will reinvent our expectations of fast flight. The hypersonic airliner will travel at Mach 5, which is about 3800 mph (6110 km/h) or five times the speed of sound. This is still around twenty to thirty years away and no doubt will depend on technology that to date has yet to be made available. Lockheed Martin also has an offering in the works. In 2018 Lockheed Martin was selected to design a Low Boom Flight Demonstrator(LBFD). Their X-59 QueSST (Quiet SST) will fly at 55,000 feet at a speed around 940 mph / 1,513 kph / 817 knots. The aim is to reduce the sonic boom from a boom to a light thump, a bit like car door closing. In July 2018, the International Council on Clean Transportation (ICCT), under the lead authorship of Dan Rutherford produced a report called, “Environmental performance of emerging supersonic transport aircraft”. The report was drawn from studies and simulations carried out at Stanford University and was in response to mounting pressure on the Trump Administration to relax rules governing overland supersonic flight in the U.S.A.. The report looked back at Concorde and compared it with conventional airliners of the day, say the Boeing 747. It was obvious that in every aspect, the Concorde was less environmentally friendly. The supersonic plane was less fuel efficient, noisier at airfields, emitted higher levels of nitric oxide in the take-off and landing phases, higher levels of carbon dioxide in cruise, not to mention the sonic boom. They then looked at the situation today. As we’ve mentioned already, technology has moved forward in many aspects of aircraft manufacturing. Does this work for the supersonic jet manufacturer? Yes, of course new things are possible now that were not in the 1960s when Concorde was developed. However, the bar has been lifted as far as eco standards around commercial aircraft are concerned. The report found that that the gap between conventional airliners and the new generation of supersonic planes was much the same as those in the time of Concorde. So, let’s say the U.S. relaxes its rules around supersonic jet travel. Will this be enough of a market for plane makers to make a profit out of? The U.S. relaxing their rules doesn’t mean other countries will follow. In fact some European countries have made it clear that they will not entertain the idea of supersonic flights over their territories. Even flying to those countries, with the last overland portion done at subsonic speeds may not work, as there are still airport noise and emission standards to overcome. So, needless to say, a complex issue. …. around 5,000 supersonic flights a day…..
For an aircraft manufacturer, the idea is to develop an aircraft for which you have calculated there is a market which will enable you to sell enough to recoup your cost, as well as making a profit. Some of the supersonic jet maker start ups are estimating that they will be producing up to 2,000 airframes. These aircraft will serve up to 500 cities by 2035. Imagine, around 5,000 supersonic flights a day. Over a 16 hour flying day, there could be a sonic boom every 15 minutes. Needless to say, there are exciting times ahead. We would love to see the return of supersonic flight, but in a way that is sustainable to the environment. There is no doubt that solutions to the roadblocks will be found. How can I maximise my carry on luggage?